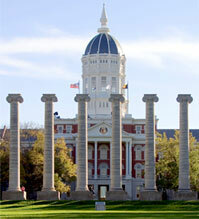 WHAT: The 22nd annual “Console-ing Passions” Conference will convene April 10 – 12 on the University of Missouri campus. Hosted by MU’s Department of Communication, the international conference on television, video, audio, new media and feminism, includes panels, workshops, and documentary screenings on media production and industries, audiences and fans, textual analysis and criticism, gaming and virtual worlds, and feminist and queer theory. The conference opens with a plenary at 3:30 – 5:30 p.m., Thursday, April 10, in Jesse Wrench Auditorium (Memorial Union S107) that is free and open to the public. Sarah Banet-Weiser, professor of communication in the Annenberg School of Communication and Journalism at the University of Southern California is the keynote speaker. Her presentation, “Media, Markets, Gender: Economies of Visibility in a Neoliberal Moment,” will examine “girl power” and how current forms of “power” in today’s media outlets lead to female empowerment that is both personal and individual, 5:30 p.m., Saturday, April 12, in Cornell Hall room 201. NOTE: The opening plenary and keynote speech are free and open to the public. For more details please visit: www.console-ingpassions.org or contact Melissa Click, clickm@missouri.edu. Funding for the conference is provided by the MU’s Chancellor’s Distinguished Visitors Program, the College of Arts and Science, Graduate School, Office of Research, the Department of Communication, the Department of Women’s and Gender Studies, the Honors College, the Department of English, and the Film Studies Program. The conference co-organizers are Melissa A. Click, Elizabeth Behm-Morawitz, Julie Passanante Elman, Holly Willson Holladay, Hyunji Lee and Amanda Nell Edgar with the University of Missouri.